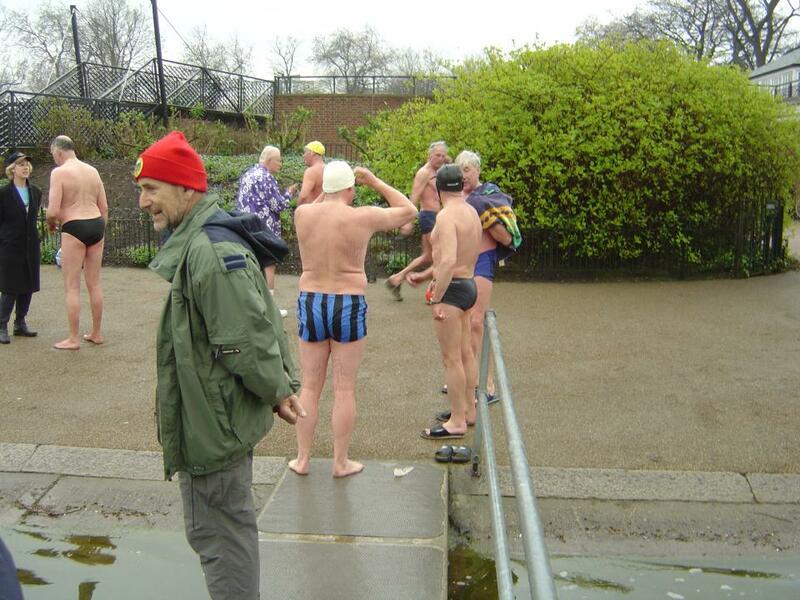 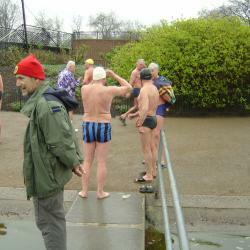 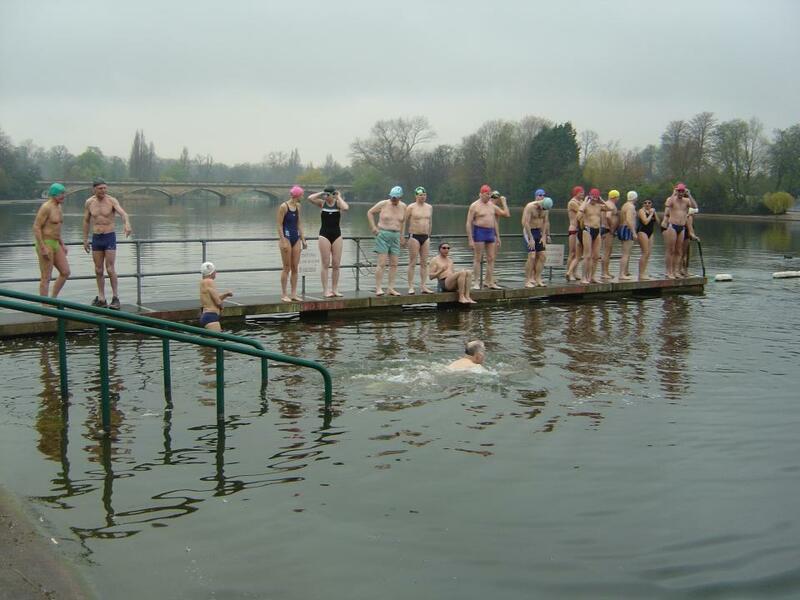 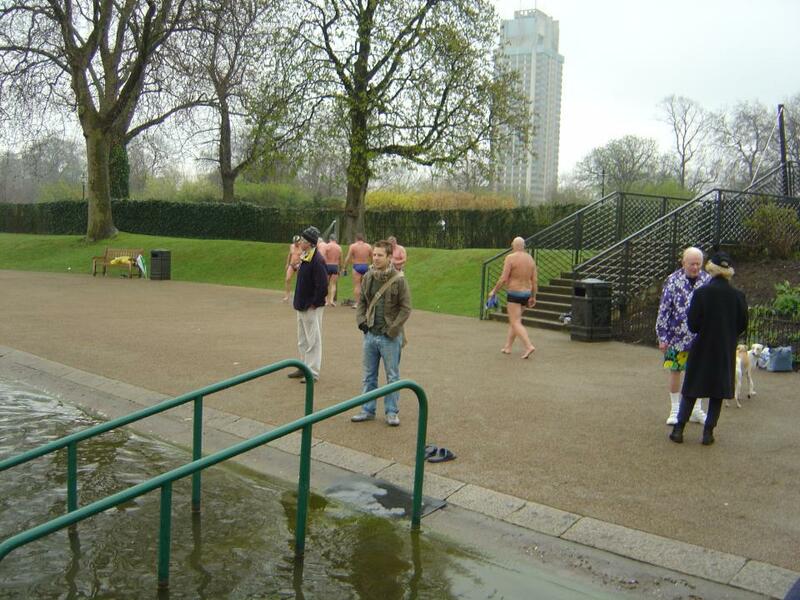 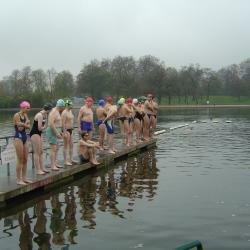 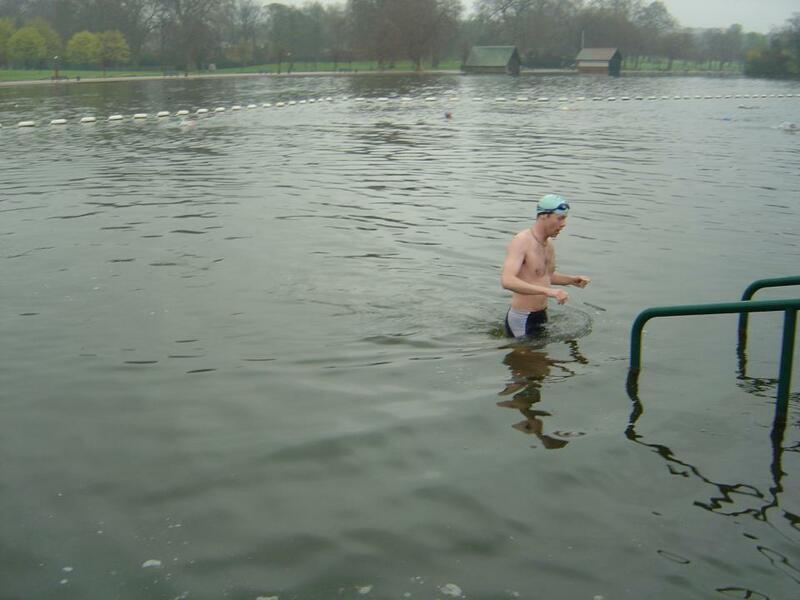 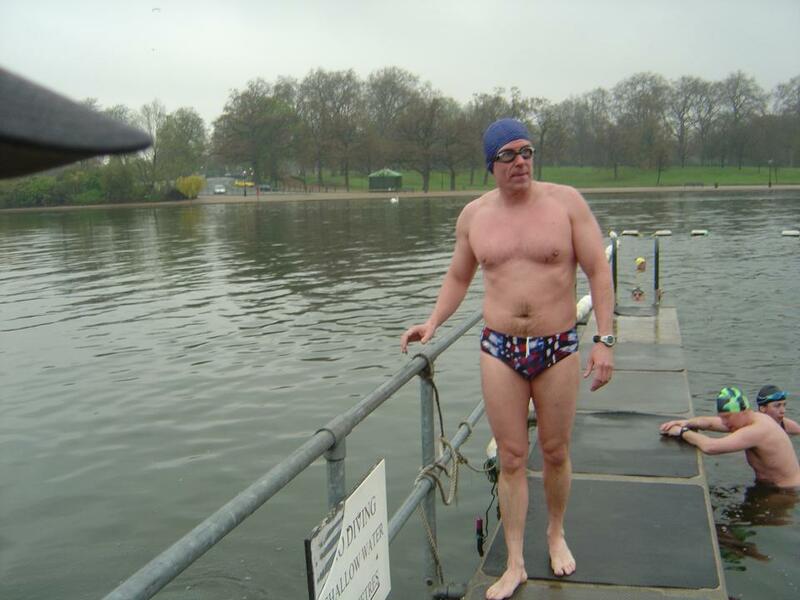 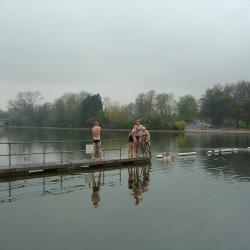 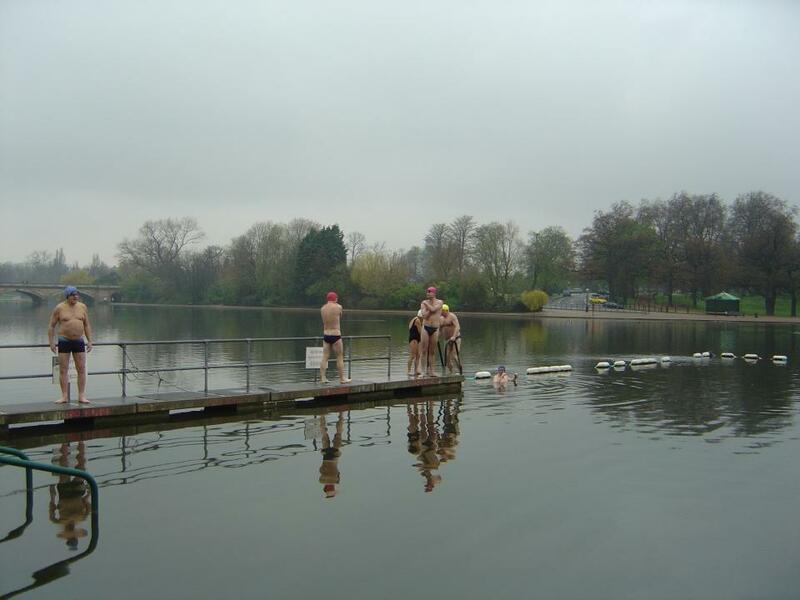 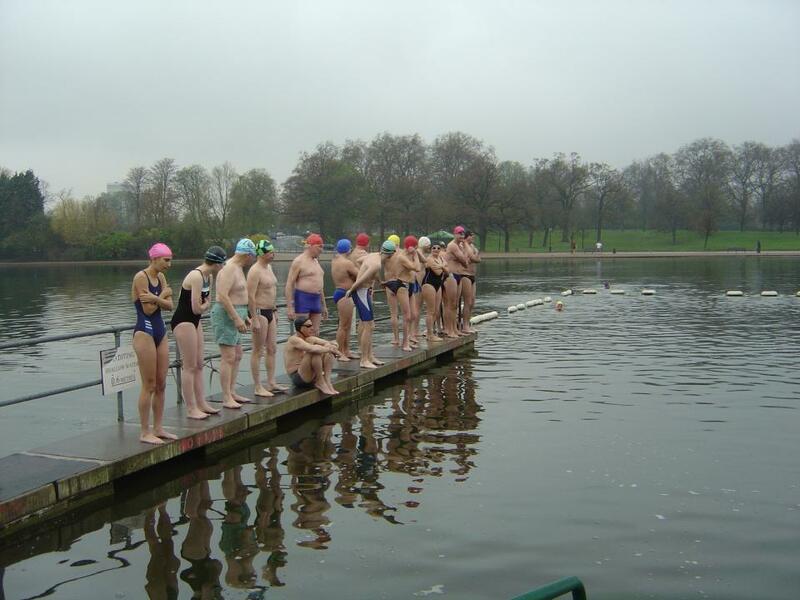 A dreech, miserable, drizzly morning, greeted the swimmers who were in buoyant spirits for the Dave Holiday Furlong scratch race over 220 yards. 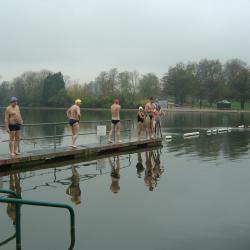 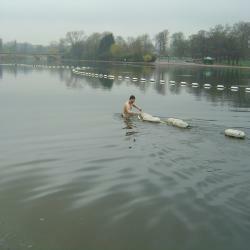 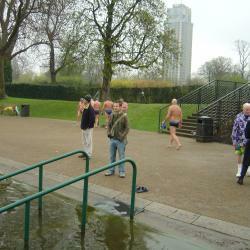 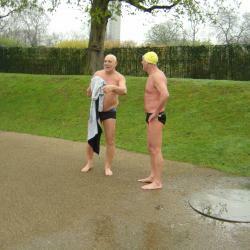 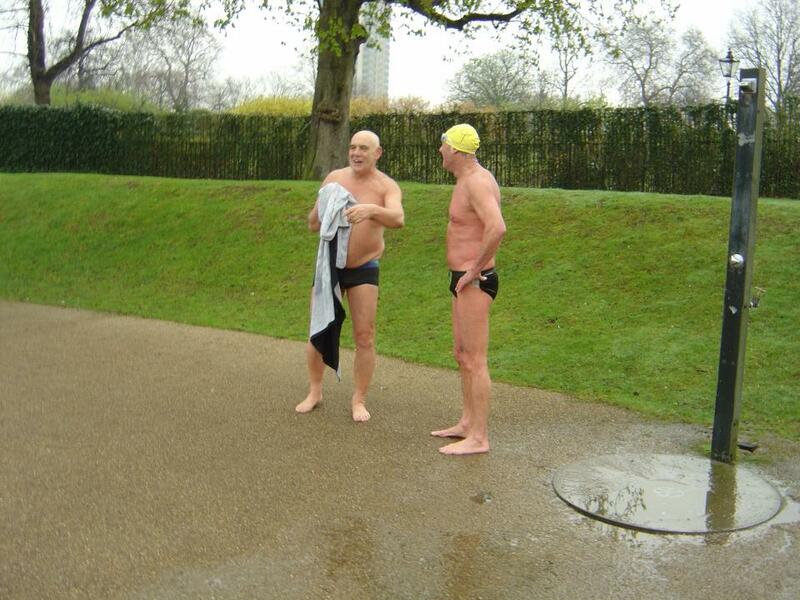 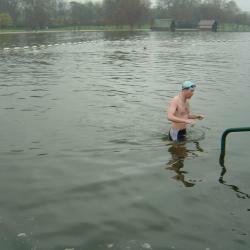 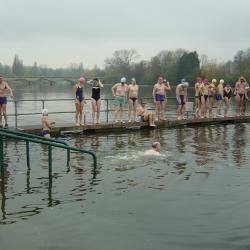 Raced in 46oF (7.8C) water, the scratch event had a lot of head scratching activity. 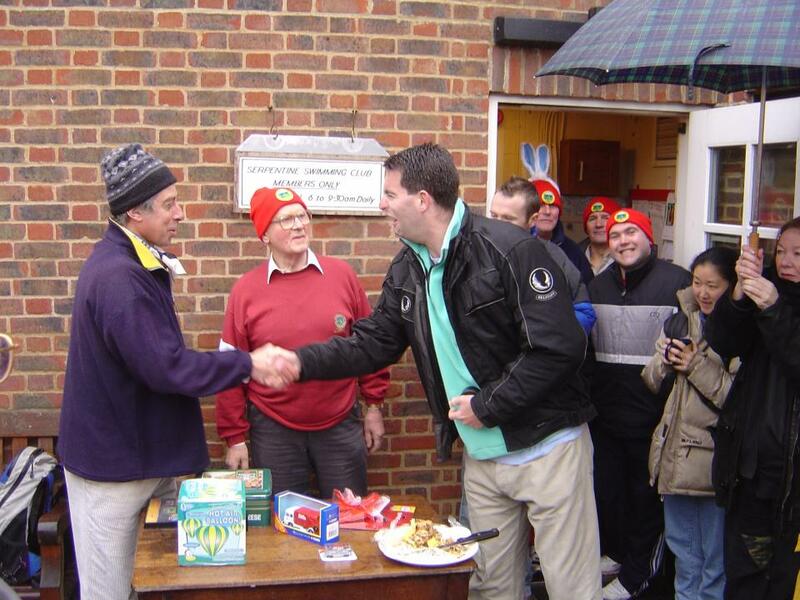 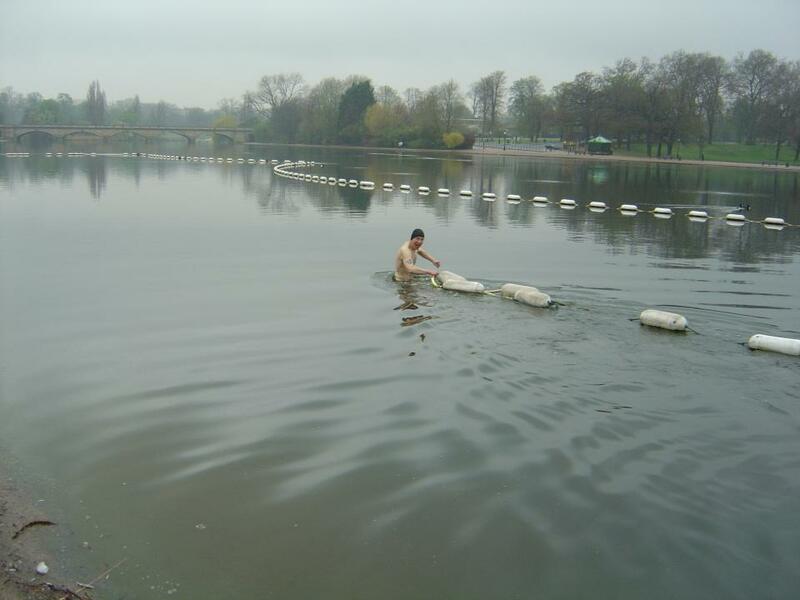 Before the race, a heroic Bill Phipps volunteered, with his willing assistant Ian Stuttard, to fix the buoys and ropes that had moved in the strong winds. 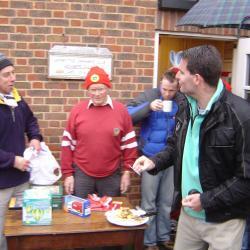 In the racing, Nick Adams narrowly beat Neil Price. 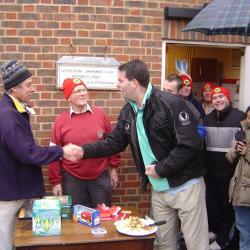 Duff Kelly came in a respectable third after many weeks "off games" following a nasty bicycle accident, it was great to see him back at the Serps. 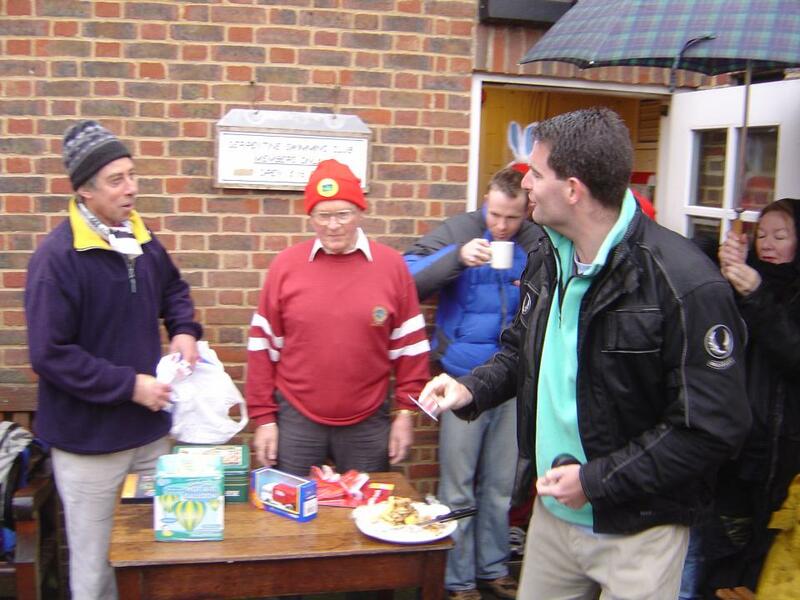 Apologies and valid excuses were received from Norman Jones and Alan Titmuss for their absences. 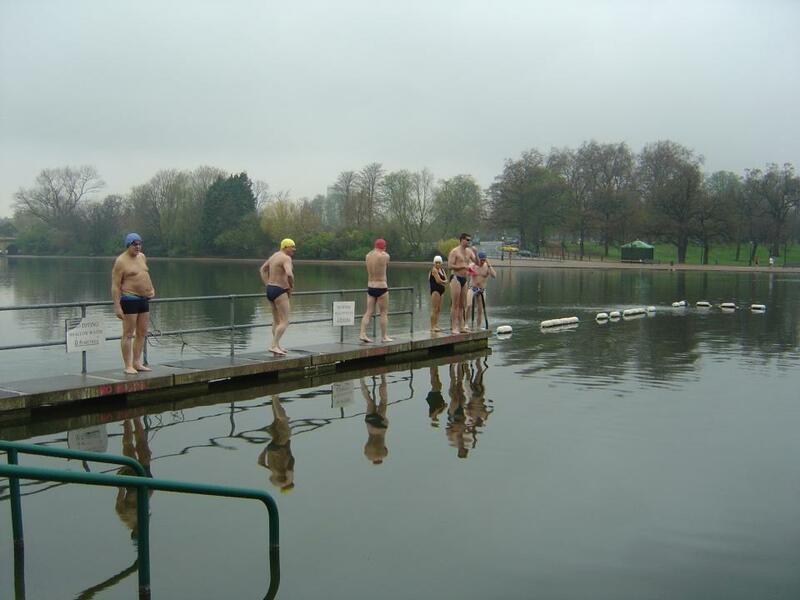 No believable explanation was given from Mark Benson for his lack of swimming, Albert for his tardiness, and Neil for his rude gesticulation during his swim.